Crowd control is an important safety aspect, which brings control management where large crowds may be forming, be that for a sporting event, queueing for travel purposes, or an event or gig. Crowd Behaviour – Crowd control is an effective plan for facility management to keep audiences safe from stampedes, affray and disorderly behaviour. Tickets & Queueing – Providing a clearly defined area where crowds can gather to queue in order to buy tickets and hand tickets over at an event, such as concerts and exhibitions. Nightclubs & Cinemas – Barrier systems are widely used within both types of establishment, as a way to divide certain areas up and to ensure visitors can see clearly the sectioned areas and where they are being directed to go. Ideal for not just queueing, but also defining cloak room areas, payment areas and V.I.P areas. 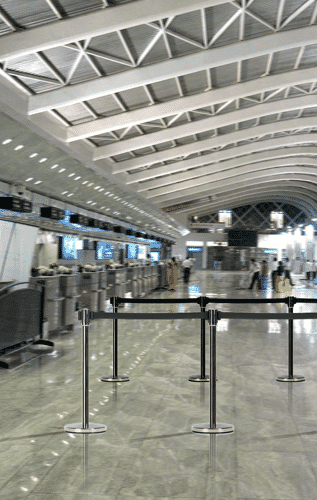 Airports – All airports use a type of crowd control or barrier system, from the moment you enter the airport you will see different areas for checking in, as well as clearly defined areas within the departure lounge for boarding planes. 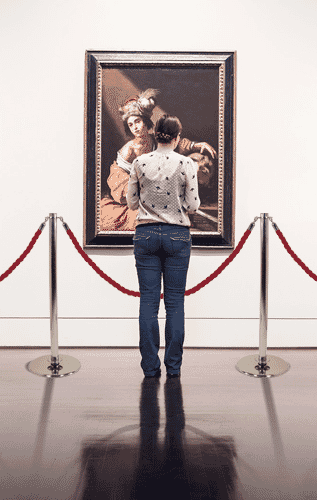 Museums & Theatres – Providing guidance to the gathering audience when queueing. Can also be used to define eating and drinking areas, or to protect exhibits. To see the range of Pedestrian Guidance Systems that Plex has to offer please click here to see our range.